indirect counting system (metric) - counting by length shows how many hanks over a length of 1000m there are in a weigth of 1kg. This system was used until the introduction of the tex system, and it is coming back into use. 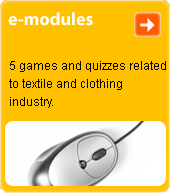 Used by the world textiles industry before the introduction of the tex system - and still in use in some states. There were various counting systems for délkových textilií (for instance, the English counting of cotton, wool and flax). Today, the expressions "yarn number" adnd "yarn fineness" have been replaced with the expression "délková hmotnost nitě".